Jane Johnson sent the following. Say “St Ayles Skiff” and the Huon Valley is starting to see double! Cygnet township proudly launched Tasmanian St Ayles Skiff Number 2 at a very special ceremony on March 1st at the Cygnet Sailing and Yacht Club. 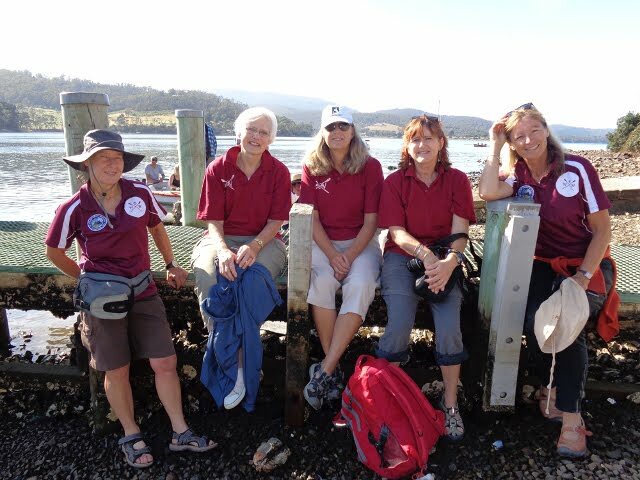 On behalf of the “Women on Water” Franklin-based group it was a pleasure to be “special invitees”. All who attended were impressed with the workmanship in the skiff’s sleek design, paint and special finishing touches. The “Cygnet” skiff was named “The Swan”. The townships gathered to share the community spirit and pride in being part of the project. It was an obvious demonstration of the success of a health and well-being grant administered by the Huon Valley Health Services Advisory Committee. The launch was a prelude to the Cygnet Yacht Club’s 150th celebration and an inaugural St Ayles Skiff event for the Cygnet Regatta was a great way to reinforce the benefits of being involved. 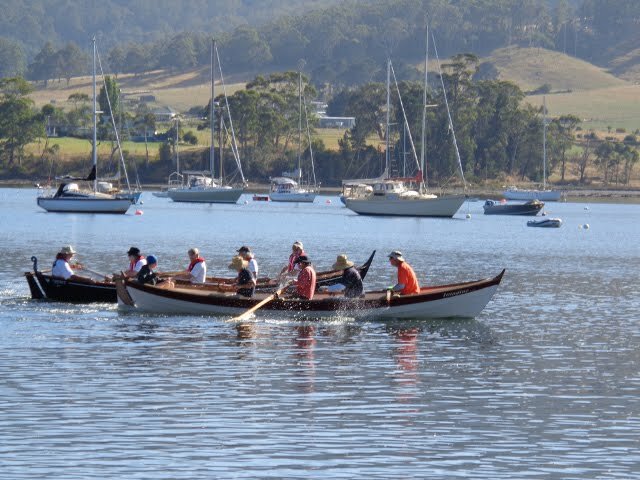 The weather conditions were perfect, many skiff crews were involved, there was friendly rivalry and camaraderie with both St Ayles Skiffs, “Imagine” and “The Swan” gliding through the water, side by side.